HI everyone, I was wanting to get some information on Lipo and charge levels please. I am a total noob to the electric side of things, and only just returning to the hobby after 20 years absence. So if any one would care to share their wisdom, that would be much appreciated. I have been trolling forums and YouTube and am getting the grasp of the basics, but have a few (probably idiotic) questions I would like clear answers on please. Safe discharge point on a 3S lipo? I have some 3S lipo batteries and I was wanting to know what is a safe voltage to stop at. Currently I am stopping around 11.2v, before changing batteries. What is the difference between 1600mah and 2200mah, does one just last longer for the same plane, or does the 2200 actually increase power to the engine as well? My plane is a FMS Fox glider from Hobbyking. I love it and it uses 3S batteries. I read on another formum someone saying they tried a 4S in the plane. Would this work? Can you just change voltage like that? I thought the motor was 11.1v and plugging in 14.4 would fry it, or does the ESC work this out? I appreciate any advice you can provide, and thanks in advance. But the simple one is fine. What these widgets tell you is how much voltage is in each cell. Theoretically a lipo can get down to 3.0V per cell (i.e. 9V on a 3S pack) but personally I like to land at about 3.7V per cell (11.1V on a 3S pack). Note that under load the voltage 'sags' some (depending on the load). Speaking of load, that provides a convenient segway into Q2. The 2200mAh lasts longer (providing the plane can carry the extra weight) but also gives opportunity for the battery to give extra current under load. This is where people talk about C rating. 20C is a typical value and a 20C 2200mAh pack can happily give 44,000mAh (20 x 2200) which is adequate for many applications (though on the low side for helis and EDF). Consider your 1600mAh pack at 20C. It can only give 32,000mAh (32A; 1600 x 20). Note this is what the battery is capable of giving, it won't give full current unless the system is chasing it. You can see why people with high power requirements chase bigger numbers. High power requirements, another convenient segway! (You'd think I'd planned this). Adding another cell and upping the voltage makes for more power. P = I x V (Power = Current x Voltage). So yes a 4S can provide more power but then you have to pay attention to the capacity of the ESC and the motor. At this stage it is wise to copy what others are successfully doing on the net when choosing a power system. 1. 3.7 v/cell is what I like to stop at, so 11.2v for the whole pack is fine. The lower limit is around 3.3v for most people, however you can go to 2.9v/cell without damaging the cells - not recommended. 2. Different capacity batteries eg 140-6000mah lipos contribute to flying time and also discharge: 100mah gives 0.1A X C rating 6000mah gives 6A X C rating. So higher capacities will give more amps, but you have to take into consideration your flying weight. It is a balance between flying time and weight... you need your motor to have enough thrust for the plane. E.G. if you have a 600g plane with suitable motor, a 100mah lipo will last about 20 seconds and a 6000, 30 mins, but the plane will not carry a 500g lipo so a 1800-2200mah would be a good choice 2-3s. 3. 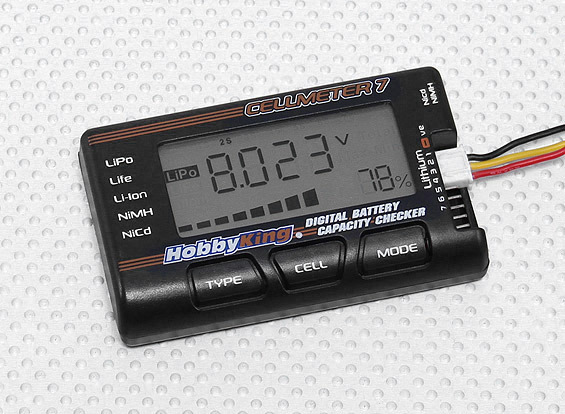 It is good to get a watt meter to see how many ams you are pulling if you are on 4s so you don't fry motor/ ESC. If it works well as it is I would keep the current setup. It's generally accepted that you should never discharge a lipo more than 80% of its capacity rating. This means on a 2200mah rating pack shouldn't discharge more than 1760mah. The end voltage will be around 3.7v per cell static, 11v for a 3cell. You also shouldn't go below 3v per cell under load or 9v under load for a 3cell. For storage in between flying sessions the packs should be 60% discharged or 3.8v per cell, 11.4 volts for a 3cell. These are all general guidelines and aren't hard numbers. I have flown my batteries to LVC a few times now... I have the ESC set to high cutoff, that is, 3.1V per cell, 9.3V for the whole 3S pack. Will this shorten the lives of my batteries? Not necessarily. 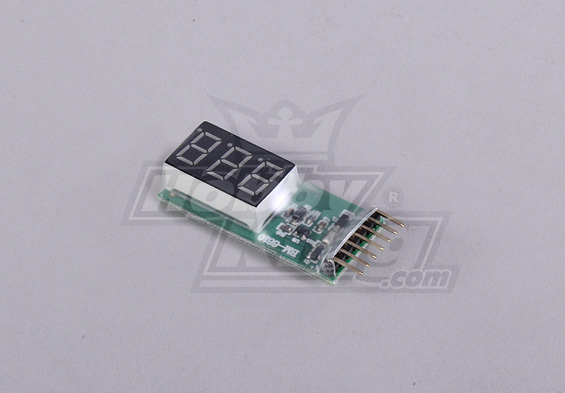 You ESC is monitoring your voltage with a load applied so the voltage will be lower than static. It can also depend on your c rating and how much of a load you apply. I've seen it on older, tired packs on my trex 450 where the pack will drop down to 3.1-3.0v per cell on hard collective pulls where the load is high and still be well within the discharge amount. Static voltage would have been over 3.7 per cell.